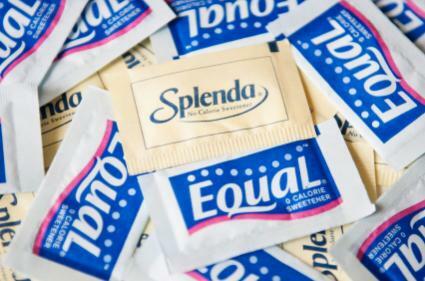 Since it was first introduced to the consumer market four decades ago, aspartame, the main ingredient in low-calorie sweeteners like Equal and Nutrasweet, has sparked controversy in the medical and scientific world. Although current scientific evidence suggests that aspartame is safe, many consumers are still concerned about side effects and the risk of cancer. In order to decide for yourself about the potential dangers of aspartame, it's essential to know the facts. From the time aspartame received FDA approval in 1973, there has been controversy surrounding its safety. In 1973, Dr. John Olney, M.D. and James Turner, released their findings regarding the toxic effects of aspartame. They found that aspartame could cause brain damage and was dangerous for people with PKU (Phenenlyketonuria), a genetic disease that causes people to be unable to break down phenylalanine. Based on their research in 1981, the FDA created a public board of inquiry composed of various doctors and scientists. The board was tasked with determining if aspartame can lead to brain damage or tumors. The conclusion was that aspartame did not increase the risk of brain or endocrine dysfunction but that it could be carcinogenic. In addition, the FDA appointed an internal review board, of which half advised the FDA to not approve the substance. Aspartame was de-regulated in 1980 by the board, but in 1981, the FDA Commissioner overruled the board and re-approved the substance for use. Since 1981, almost every governmental regulatory body, along with many other scientific and medical journals, have deemed aspartame to be safe. This includes the FDA, the CDC, and even the European Food Safety Administration (EFSA), which tests food products for safety in the EU. The American Cancer Society's opinion on the safety of aspartame is that it does not cause cancer and is not linked to health problems. How Much Aspartame Is Safe? The FDA set safe human consumption levels at 50 milligrams per kilogram of bodyweight per day. According to the American Cancer Society, the average adult would have to drink more than 21 cans of diet soda a day to exceed this level. The EFSA levels are set a bit lower at 40 milligrams per kilogram of body weight. If you or someone you know has PKU, aspartame is dangerous for you and should be avoided. Closely monitor everything you eat to avoid ingesting phenylalanine or products containing aspartame. It's unlikely that the controversy over aspartame will ever go away. Individuals on both sides of the fence are convinced of the validity of their position. Consumers must make their own informed choices based on available literature.